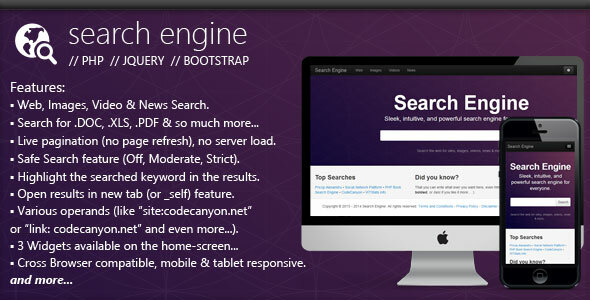 PHP Search Engine Script allows your visitors to search for sites, images, videos, news and even more, using tens of filters available for all searches. Also the script uses Bootstrap framework so you can quickly change the design. Also the script have a live pagination implemented, itâ€™s cross-browser and cross-device compatible (pc, tablet, phone), and more!